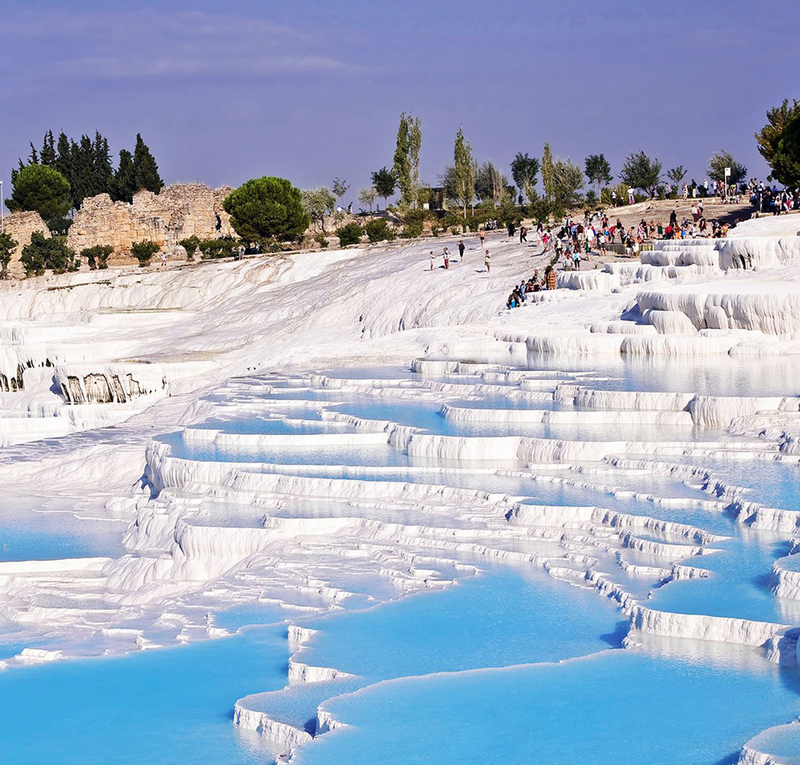 Pamukkale meaning "cotton castle" in Turkish, is a natural site in Denizli in southwestern Turkey. The area is famous for a carbonate mineral left by the flowing water. 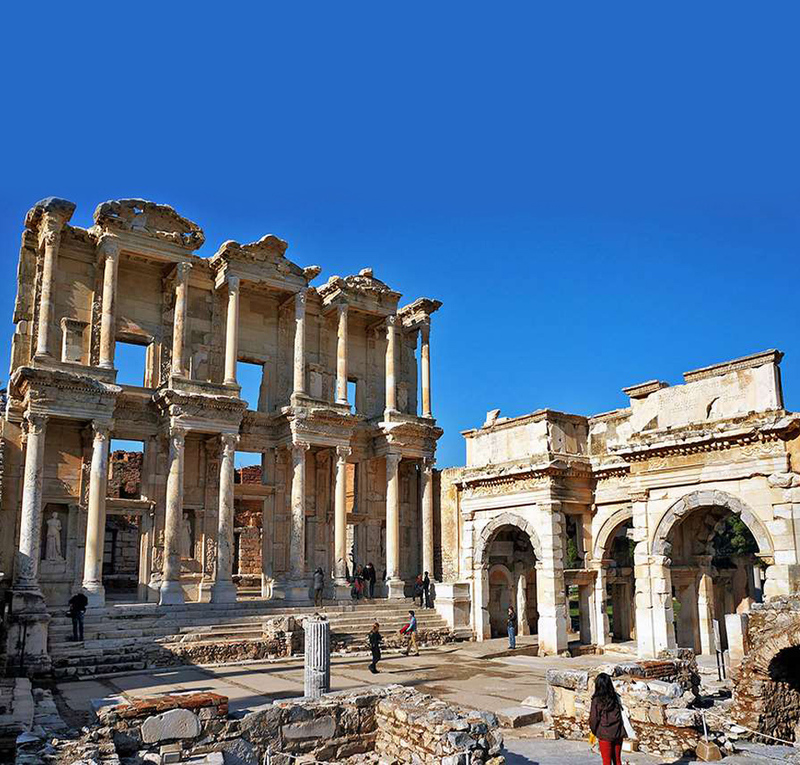 Ruins of Ephesus was an ancient Greek city, it was built in the 10th century BC on the site of the former Arzawan capital by Attic and Ionian Greek colonists. Hierapolis the "Sacred City", is located at present-day Pamukkale in south central Turkey, there were many temples and religious buildings. Topkapı Palace, also known as the Old Palace, was the official and main residence of the Ottoman Sultan in the city. It has now been transformed into a museum that shows the past and amazing treasures of the royal life.